We combine that perfect blend of activity and relaxation that will satisfy your need to "Discover Jervis Bay" and make the most of your visit to our incredible region. 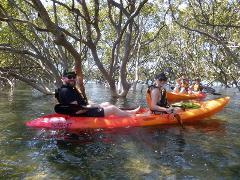 Meet at our Huskisson Launch site and glide onto the waters of Inner Jervis Bay and Currambene Creek Estuary System. Venture past Perfect Beach after Perfect Beach, Sheltered Reefs and the World Renowned Crystal Clear waters of Jervis Bay. 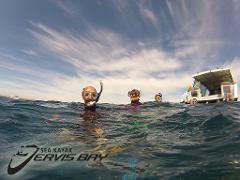 We combine that perfect blend of activity and relaxation that will satisfy your need to "Experience Jervis Bay" and make the most of your visit to our incredible region. Attention all paddling enthusiasts ..... This one is calling you! ...... 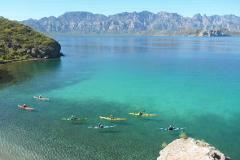 The Loreto National Marine Park is a feast for the senses and it is our pleasure to invite you on this amazing sea kayak journey. 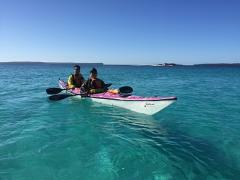 Join us in June 2019 on our Expedition to Ningaloo Reef in WA. This once in a lifetime trip takes us on an amazing 8 Day Kayaking, Snorkeling, and Whale Shark Adventure that is Heralded as one of the worlds best wildlife experiences. 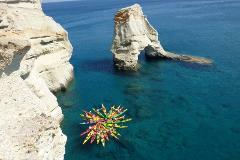 Come and explore this Greek Island paradise with us on our Sun filled adventure to Milos. Time to kick back and enjoy all that the Mediterranean has to offer.